"In the fall of 2013, my company performed comprehensive research in selecting a miniature golf manufacturer that would fit our unique requirements. We researched the entire country, visited trade shows, and met with several manufacturers during this process. 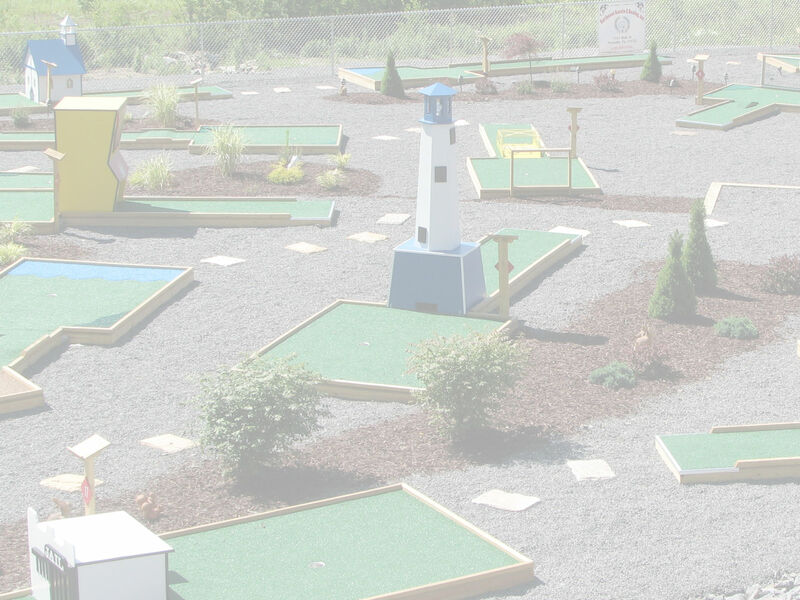 We came across Mini Golf Incorporated and met with Joe & his staff in the winter of 2014." "Immediately what was felt in our meeting was that Joe & his staff look to build long term relationships and are passionate about miniature golf. And I mean passionate! Combine that with their unrivaled experience and it is truly a winning combination. Mini Golf Incorporated was able to properly educate us to make the proper decisions for our needs. Joe listened and did not try to sell us; he listened and made sound business recommendations based on our unique requirements and what he was confident would work. The mini golf course we initially received was perfect and our business relationship has grown from there. We continue to add to our course on an ongoing basis to this day with unique and challenging ideas. Each & every time Joe & his staff meet our objectives on time and in budget." "Our YMCA purchased our 18 hole indoor mini-golf course from Mini-Golf, Inc. in mid 2014, with our opening date in November 2014. Members of all ages, but especially our youth and families, have really enjoyed playing. Presently, our summer day camp kids are having a blast playing Glow in the Dark mini golf!" "Joe and his entire staff were great to work with; very professional and the cost was very reasonable. I would recommend Mini-Golf, Inc. to anyone looking to provide a top quality mini-golf experience to their members or to the general public." "Great service and help from your company...I would refer you guys to anyone." "My experience with Mini-Golf, Inc., and specifically Joe Buckshon, has been an excellent one. Joe is very knowledgeable and trustworthy, he worked closely with us to select various options and he designed the layout of the entire course to fit our space. In particular we liked being able to pick the holes, obstacles, and paint that we wanted and Mini-Golf, Inc. did the rest. The finished product is not only solid and of good quality but looks beautiful. The standard comment from our customers when they enter our Mini Golf room is WOW!! ...That says it all." "I would have to say that Mini-Golf, Inc. went above and beyond the call of duty to get us opened on time! They're a great bunch of people to work with and can solve all your problems with the caring and knowledge of miniature golf! Great Job Mini-Golf, Inc.!!!" "Hello, this is Will from Putt N Play in Wisconsin. I just want to give a huge thumbs up for Joe and his team, they made us an affordable and quality mini golf course. Every step of the way, I appreciated how Joe always let me know what was going on. He was very straightforward and anytime I needed anything he would cater to all my needs. The golf course is going great, I love it. I would refer him to anyone. If you want a good person to work with and a great course that's affordable, Mini-Golf Inc. is perfect for you!" "I would like to take this opportunity to thank Mini-Golf for both the high quality miniature golf course manufactured for me, and for the excellence in service provided to me throughout the sales process." "Thank you again for your commitment to customer service excellence. I found it to be invaluable in the formation of my business. I would highly recommend you to anyone interested in entering the miniature golf business. Feel free to use me as a reference. I look forward to working with you in the future as I expand my business!" "Thank you Joe and let me say to anyone trying to decide who to buy a course from, there is only one choice and that is Mini-Golf, Inc., the most customer service oriented organization I have ever had anything to do with"
"It's hard to believe that we've been operating our indoor mini golf for over ten years now. When we added mini golf, it was the first step of our transition from a game room with pool tables, arcade, and redemption games to a family entertainment center. Since then we've added bumper cars, a gyro-sphere, craft center, children's soft-play, a motorized rock climbing wall, and a two-seat flight simulator. Mini golf has remained a choice action attraction in spite of the new attractions that have been added over the years. It's still the only activity that all family members, from grandkids to grandparents, can enjoy together." "Just as mini golf itself has been a stable, integral part of our center, the people at Mini-Golf, Inc. have been there for us at all times. They take their true concern, integrity, and great service for granted because it's part of their everyday duties to their customers. Their support and honesty are noteworthy. For over ten years we have enjoyed and benefitted from out relationship with Joe Rogari and Joe Buckshon of Mini-Golf, Inc. As you get to know Mini-Golf, Inc., I'm sure you'll feel the same way."